Movements are never started alone. But they blossom from the vision of one person who is inspired, driven and altruistic enough to dream of and create something bigger than themselves. My mission is to inspire others to create change. Our world is rife with problems. With so many issues to be solved, we need a new breed of leaders willing the lead the charge. Their work must start in communities – working toward big, monumental change through understanding, organizing, influencing and moving small groups. An advocate of servant leadership, I believe nonprofits and social enterprises are change agents for very important causes and movements. I can teach you how to incorporate philanthropic initiatives to help support the change in the world you are seeking. As a lobbyist who has seen the power that policy changes can have within a movement, I can teach you how to ensure your movement receives momentum and the attention from policymakers that it deserves. 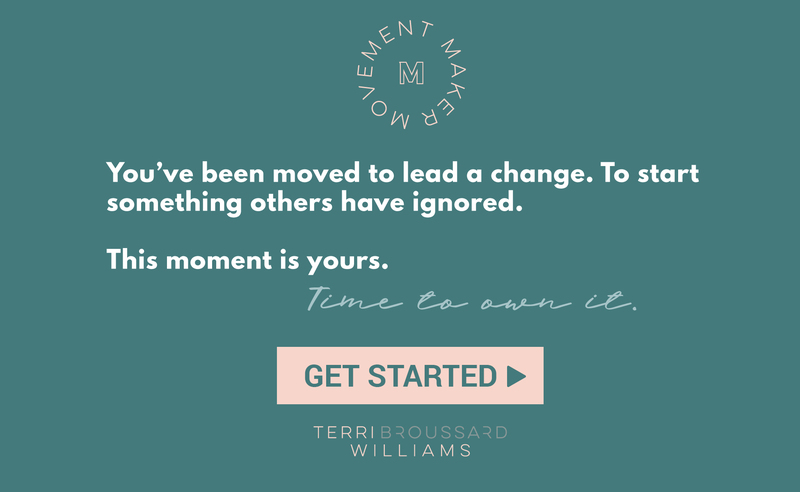 For leaders and brands wanting to do something big, I can help you understand how to teach, strategize and inspire – all building blocks of building a movement.